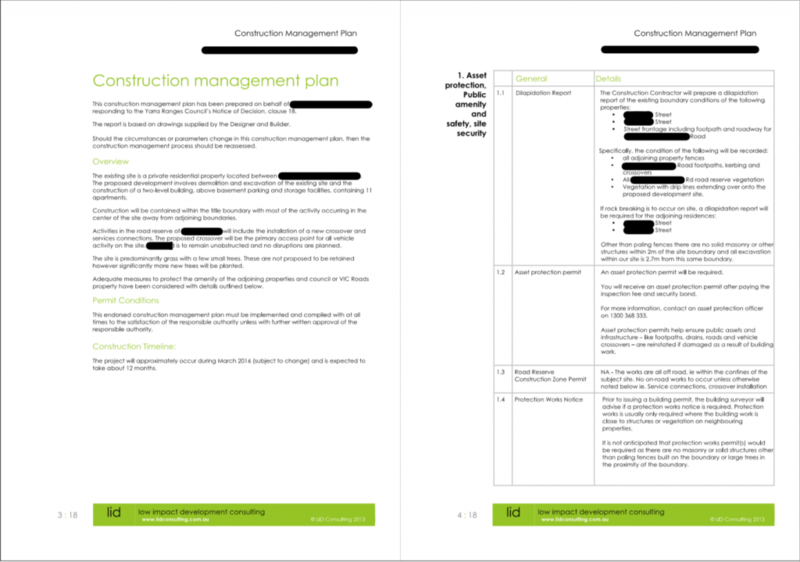 Our reports are written to contain a level of detail to satisfy councils but generally not make life difficult for builders. On larger jobs we rely on builder involvement to confirm their construction methodology. We do not include crane plans but can include Traffic Management Plans and truck swept paths. We have had a 100% success rate with submitted reports.